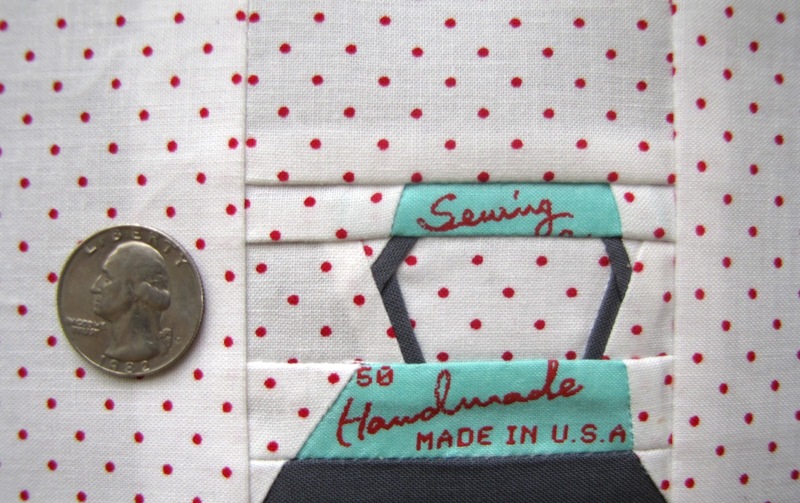 Amber chose a sewing theme for her bee block in Ringo Pie. 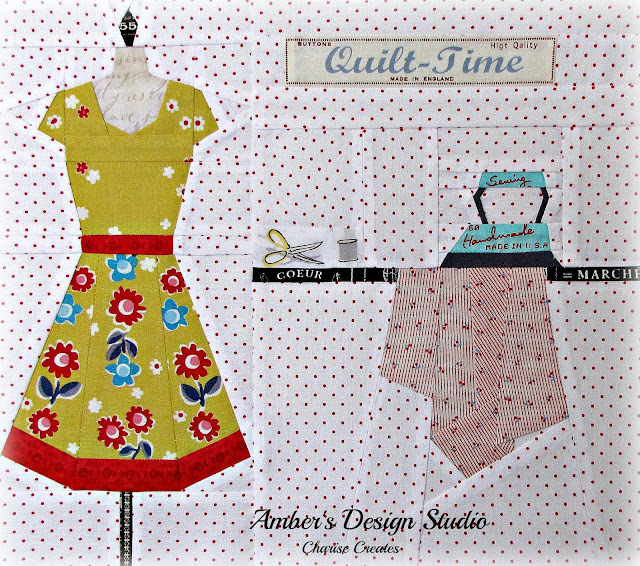 I had just finished my "Design Studio" pattern for the Sew Out Loud quilt along and thought this would be the perfect theme. The itty bitty iron came first and I was inpired by an incredible exhibit at the San Francisco Airport! The exhibit is incredible. There were sewing baskets and kits, sewing machines and irons on display. Here are just a few of the incredible items on display. This week I happened upon a super dangerous place in my neighborhood - dangerous for the wallet that is : ) It is a vintage warehouse that sells mostly estate sale finds. 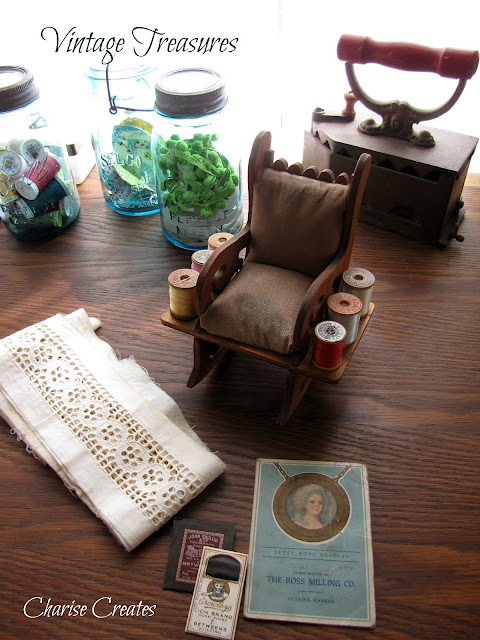 I got the cute little chair pincushion, eyelet trim and vintage needle cases! What an amazing block! Amber is one lady! I might like this one even better than the sewing machine version...if that is possible. I am just in awe - it's amazing Charise - thank you SOOO much! I absolutely love it...what a work of art! 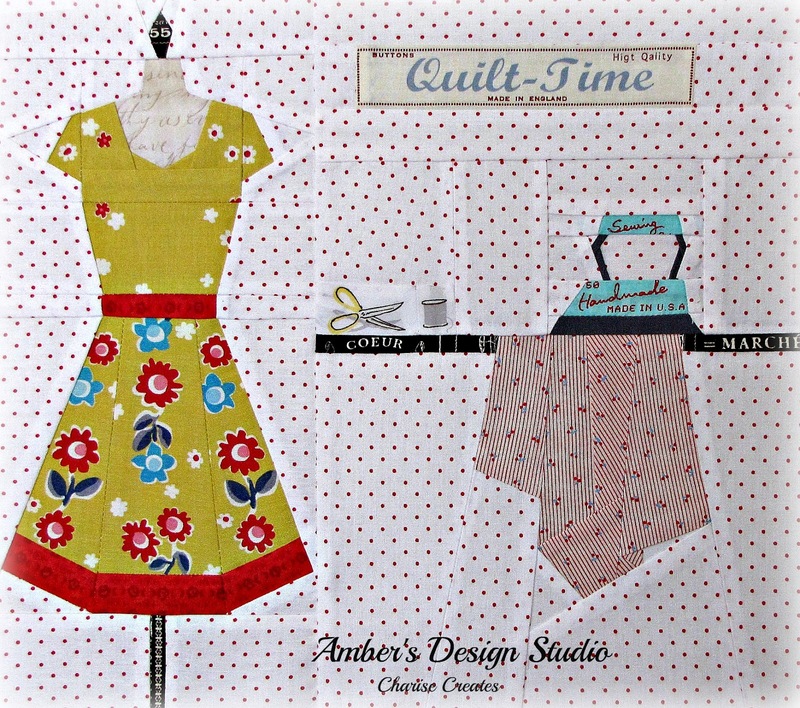 What lovely pictures, from your pretty block for Amber to those wonderful vintage finds! I have a pincushion chair almost exactly like yours, inherited from my grandmother! Same wooden chair with upholstered seat and back for pins, same spool holders on the sides, but my "chair" has black velvet fabric on the cushions. I've never seen one like it anywhere else! You've been Leibstered! Yours is one of my favorite blogs, with your fabulous paper piecing patters and turorials. I can't believe you have fewer than 200 followers, but I'm happy to pass this on in hopes you have many more! I'm a bit late to the party (catching up on all my blogs I follow) but I do love you block! Great use of fabrics and your pattern is fantastic! My mom loves it. Thank you for inspiring me to return to paper piecing!